We all traversed Minnesota and 99% of South Dakota for a vacation in the Black Hills. We were in the Black Hills for five sun and fun filled days! 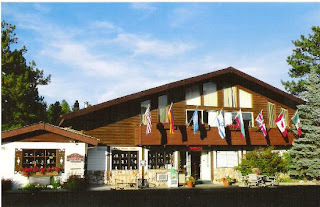 We stayed at the Bavarian Inn in Custer, SD - which had good reviews on Trip Advisor. We had a very, very small room - there were others much larger that if I go back would specify and request specifically. Room 105 or 120 were great. We were in room 118 and it was tiny, tiny. It was a bit tough with 2 adults, a dog and 2 kids.